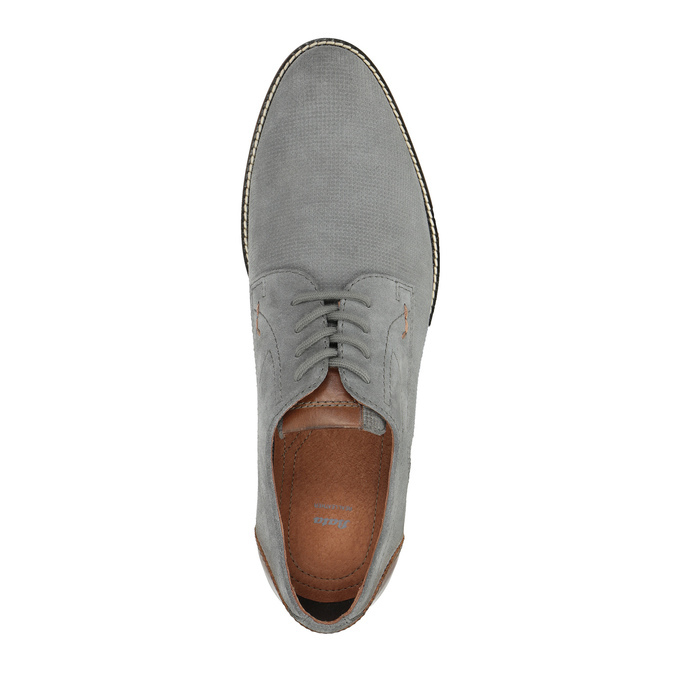 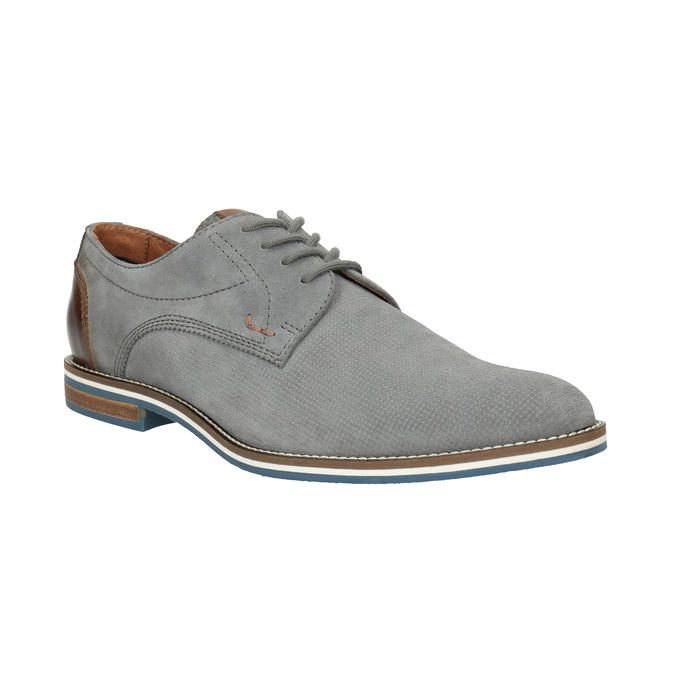 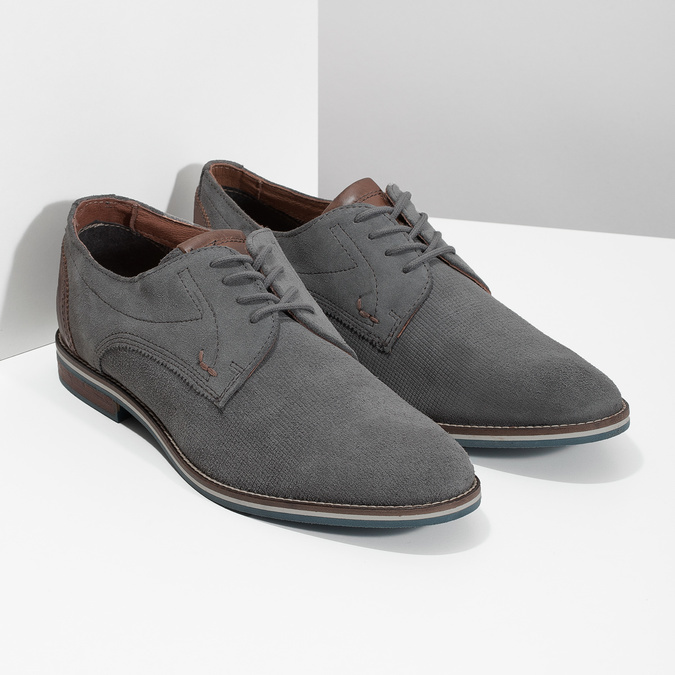 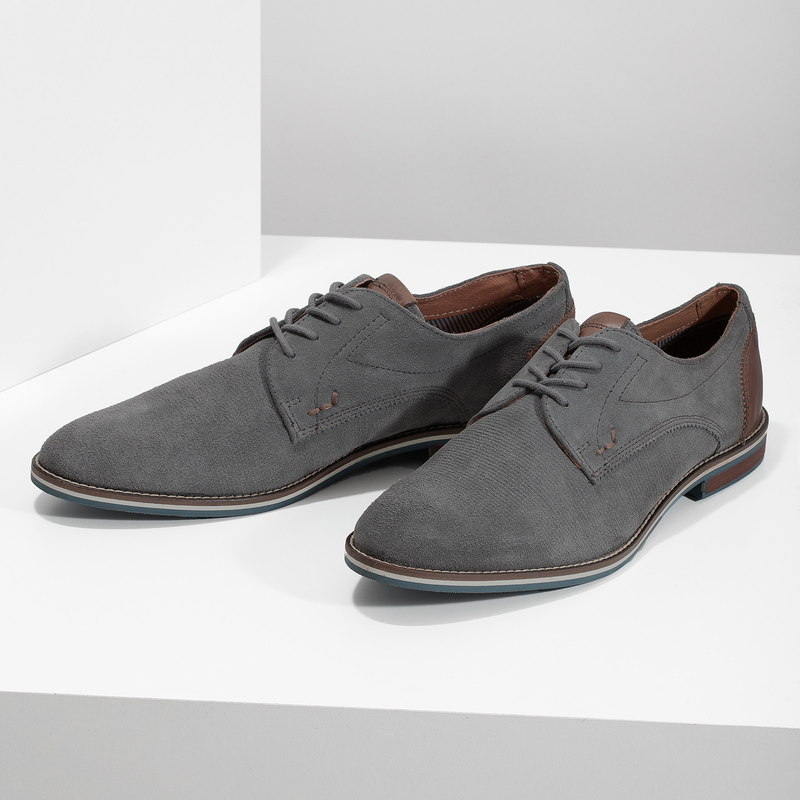 These men’s shoes have a grey brushed leather upper. The brown heel part matches the stripes on the sole, which has distinctive stitching around the edge. There is a subtle embossed pattern on the toe, giving it a sculpted look. 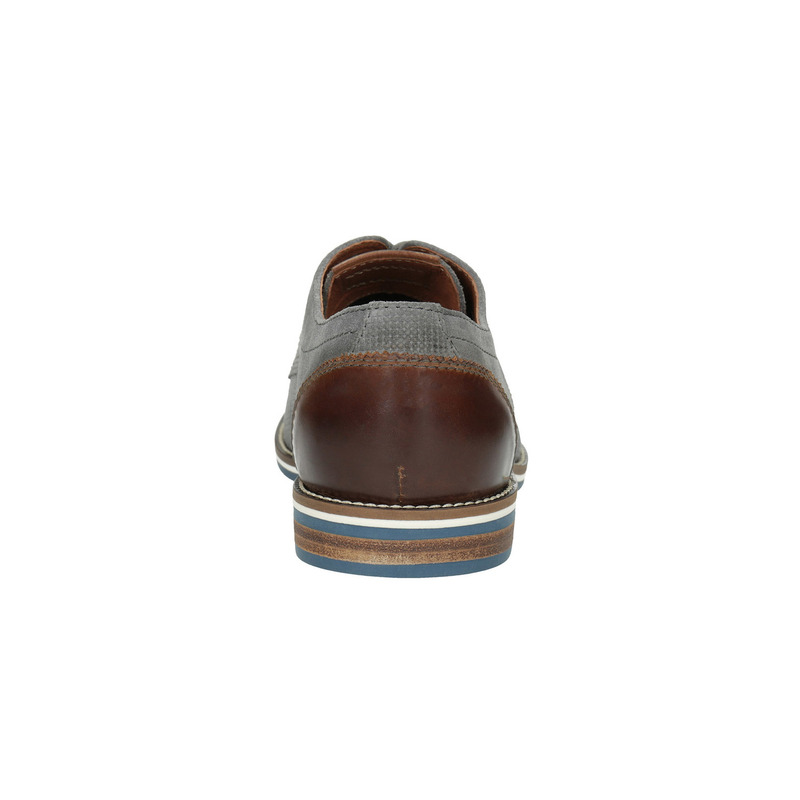 These shoes have a leather insole and are the perfect accessory for your casual business look.